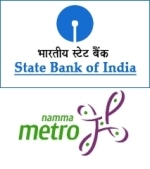 Public sector bank State Bank of India and Banglore Metro has launched a new service which will enable commuters to travel on Namma Metro with the help of their debit cards. SBI will start issuing the NFC (Near Field Communication) enabled debit cards today. The cards will also work as travel smart cards hence enabling travelers to pay for their journey directly from the cards (no cash required), according to The Indian Express. The in-built NFC radio chip in the cards can be used to tap at the check-in counters at metro stations and the SBI combo card is transferable hence the usage is not limited to just one person. "The card consists of an e-purse facility to store money for travel in Namma Metro. The e-purse can be topped at the nearest ATM or through mobile banking (SBI Freedom) or internet banking apart from cash" said C Narasimhan, Deputy managing director (corporate strategy and new businesses) SBI. Additionally the card can also be used for ATM withdrawals and for shopping at malls just like any other debit card. According to Bangalore Metro Rail Corporation (BMRC) managing director N Sivasailam, the new card is a first of its kind service in the world and as of now people can only avail this facility through SBI. Although later on once the Namma Metro line develops, BMRCL will tie-up with other banks for providing similar services. Citibank also appears to have a similar service in Delhi to provide a Delhi Metro Credit Card (sans NFC of course) that also acts as a travel smart card.